There are three large public school buildings in Hagerstown, with a capacity of 2,000 pupils and all well filled, and all free schools, namely: The Male High School, the Female High School and the Antietam Grammar School. Great care is taken to secure the very best teachers, and the course of study is very comprehensive. 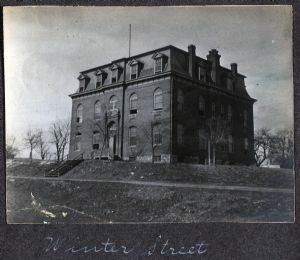 Winter Street Elementary School, built in 1953, replaced the old Winter Street Public School, which was built in 1887 as a Female High School.